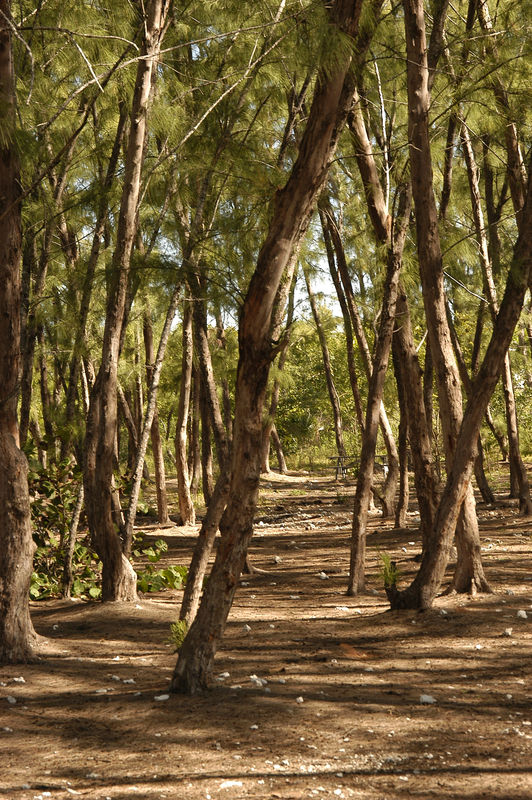 Save Our Pines is a not-for-profit organization whose mission is to preserve and maintain the Australian Pine canopy at Fort Zachary Taylor Historic State Park in Key West, Florida. Save Our Pines evolved from kitchen table discussions among a group of like-minded citizens who had been galvanized into action when it became known that our majestic pines were slated for extinction. We came to understand that the battle to save this precious resource was perhaps only the first step in ensuring their preservation. It quickly became apparent that if we were to realize our dream of preserving our pines for future generations to enjoy, we would need to create a strong formal entity. Thus, Save Our Pines was formed as a 501(c)(3) Not-For-Profit benevolent purposed organization. Once organized and funded by kind contributions, we developed a strategy, hired lawyers, an arborist, and other advisory personnel. For the past nine years, Save Our Pines has overseen the care and preservation of this particular canopy of pines. Today these particular Australian Pines stand as a refuge from harsh sun and wind while providing shelter and nourishment for a myriad of native and migratory birds, and other creatures. These trees provide a natural canopy while still allowing a bit of the sun's light to shine through, filtered and nurturing. It's a special place close to the water that invites people to relax and enjoy as long as they please. The park service advertises that "The beach is shaded by several acres of Australian pine trees so it is always a bit cooler than the rest of the island." We believe it should remain exactly this way. The pines cast magical shadows from the sun and create beautiful sounds as the shore breezes rustle through them. For decades, the Australian Pine trees at Fort Zach have been cherished and enjoyed by all those who have walked amongst them and been shaded by their branches. These gentle Pines are a beloved landmark that were here long before Key West became the famous tourist destination that it is now. Green space is very limited on our island, yet the tall canopy that the pines provide has a feeling of spaciousness and is the closest thing we have to a wooded area. The park has been considered a State treasure for its broad appeal to a variety of visitors for many decades. The magnificent pines provide a unique recreational opportunity that is well enjoyed. Without the support of Save Our Pines, these trees would likely disappear. They are a gift to our unique community--one that prides itself on its acceptance, diversity, and oneness with nature's glory. This is an important issue that affects our quality of life in Key West. Save Our Pines supports a program of preservation, maintenance, and controlled replenishment of the Australian Pines at Fort Zachary Taylor State Park. These cherished trees, previously doomed to extinction, have been rescued through the intervention of Save Our Pines. This informative video about the Australian Pines in Key West was made prior to their receiving protection. The historic fort closes at 5:00 p.m.